With our modern reliance on electricity, there are possible electrical safety hazards in any home, office, or factory. 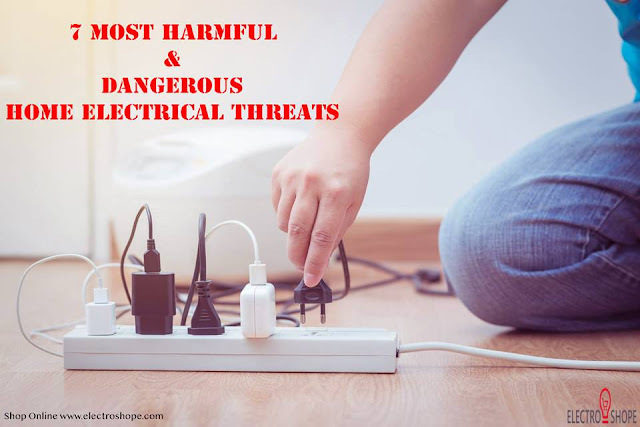 Fortunately, these risks can be avoided or reduced by being aware and taking precautions to eliminate their dangers, ideally with the help of an electrician. These are eight of the most deadly electrical threats that could happen in any home. Usage of Good quality Electrical Switchgear that comply to safety standards is vital for safety. Poor wiring can increase probability of fire, power surges, and other serious consequences. To get rid of these consequences, it’s always good to avoid do-it-yourself electrical work and get professional electricians to perform electrical wiring around the house. Damaged, worn, cracked or corroded electrical wires will surely increase the chance of electrical accidents. Have a qualified electrician check your electrical wiring on a regular basis to ensure the wiring is safe. If you need to, upgrade and replace old and damaged wires. We all know water is a good conductor of electricity hence outlets in bathrooms, kitchens, and other living areas with water should be installed in a fair distance away from the water source so that it reduces the chance of electric shock. Never use a hair dryer, phone, or any other electrical device in the bath, near the pool, or anywhere with a wet floor. Similarly, electrical appliances should never be used with wet hands as this increases the chance of getting an electric shock. Yet most of us tend to get the hair dryer with wet hands out of the shower. Keep electrical appliances far away from sinks, bathtubs, showers, and taps. A common issue is splattering water on electrical fires. If an electrical fire does occur, avoid pouring water on the fires as we know water is a good conductor of electricity so that it will further burn the fire and could cause electrocution. Keep a fire extinguisher on workplaces if you’re worried about electrical fires and use that instead of water in times of emergency. If you don’t have one installed nearby, turn off your electrical power, evacuate your home and call for the help. Extension cords should be carefully installed in place where possible to reduce the chance of tripping or accident. Use plastic socket closures on unused sockets. Don’t use extension cords as a permanent substitute for additional power sockets, and avoid using them for too many devices at once. We don’t often think of lightbulbs as being electrical hazards, but the risk for an electrical fire arises when light bulbs are placed near flammable materials. These can include drapes, beds, plastics, or other items such as upholstery. Lights, like all forms of electricity, can also cause electric shock, so make sure you always turn the switches off before replacing a light bulb. To prevent Overheating always use light bulbs with correct wattage. Heavy covering of wires can cause the cords to overheat, which could turn to an electrical hazard. Keep wires and cords away from other electricals and keep them uncovered. Similarly, make sure that items like computers and televisions have enough ventilation space around them to prevent them from overheating. Most of these issues will result in a short circuit first which leads to a fire. Usage of Circuit Breakers will reduce the chance of a short circuit by breaking the entire electrical channel when short circuit happens.